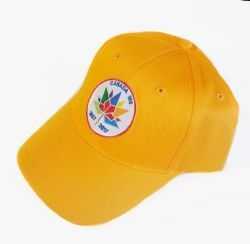 100% Cotton Youth hat with embroidered 150 crest Show your Canadian Pride and celebrate with this Canada 150 logo baseball Cap. Also makes a great gift for family and friends. CDA T-Shirt>CANADA 150 Gy Emb.